For questions or more information about any of our products and services, please email or call us at 877-843-0183. 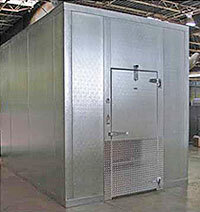 Our convenience store design and walk in coolers solutions are exactly what you have been looking for! Walk in Freezer applications are serious business. If you make the wrong turn, you could have problems for the life of your project! 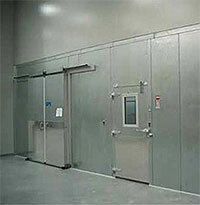 When designing your walk in freezers project, you need a company that understands the problems that can arise! When you deal with JayComp Development, convenience store design consultants, you will have that security. In the design phase, we determine your ambient temperature, the location of the project either indoor or outdoor, the scope of the product to be frozen, and your application for the freezer: pull down walk in freezer, a storage walk in freezer, or a display walk in freezer. We offer a full line of freezer doors for merchandising, also strip curtains, air curtains, and seal options to ensure your walk-in does not freeze up internally! We also combine balanced commercial refrigeration systems that match your application and perform as designed!